Have you ever asked yourself, "Why am I here?” or “What is my purpose in life?” Most of us are so busy and caught up in our day-to-day existence that we do not have time to think about the purpose of living. It seems that our lives revolve around daily routines and worldly demands rather than striving for fulfillment. 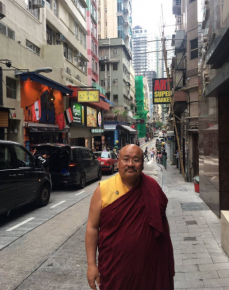 To help us find these answers for our existence, we at Ecozine were very happy and privileged to have a chat with Khenpo Lungtaen Gyatso during his second visit in Hong Kong. 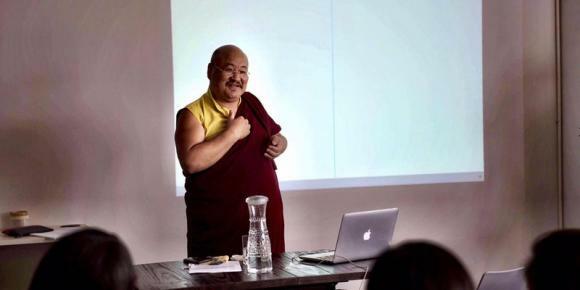 Khenpo is a Bhutanese practicing monk who has studied the philosophy of Buddhism. He has also completed academic organisational behaviour, leadership, and management courses. For him, the main purpose of life is to be happy. And feeling happy is not measured by how much money we make or where we work: happiness is a state of mind that cannot be sustained with physical objects. “To be happy, you have to ensure the right feelings and right thoughts. Happiness comes from positive emotions,” says Khenpo. Although meditation per se is not just about calming down your mind, calming down will help you get into that state. The purpose is that you become happy, and that you become aware of that happiness, and the wellbeing of humanness. “To do that, you have to have a restful mind. Unless your mind is calm and quiet, you cannot observe it,” remarked Khenpo. As human beings we are blessed with a brain and conscience and can therefore decide what we want to make of our lives. Tomorrow, make a vow to stop complaining, and start to welcome feelings of gratitude and joy into the body and mind. You do this by taking the time to recall things for which you’re thankful. We should remember that peace for the world around us has to begin within us.